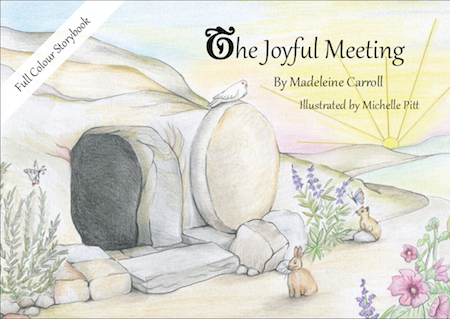 Second Spring’s first full-colour storybook, The Joyful Meeting tells the story of Easter morning through the eyes of Mary. 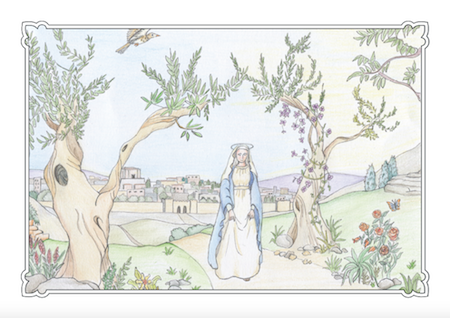 Amidst the beauty of the paschal garden, in the company of the mother of God, we imagine what it must be like to draw close to the resurrected Jesus. 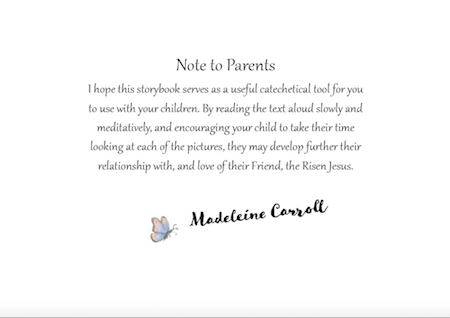 Having trained and worked as a Montessori teacher and a catechist for three to six-year-olds with the Catechesis of the Good Shepherd, and as a home-schooling mother, author Madeleine Carroll believes in the power of beauty to inspire young minds. 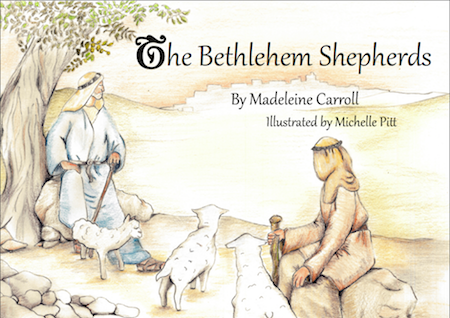 Her hope is that this story, brought to life by artist Michelle Pitt with delicate colour illustrations, full of realistic detail from the Holy Land, may help adults and children to explore the mystery of the Resurrection together. 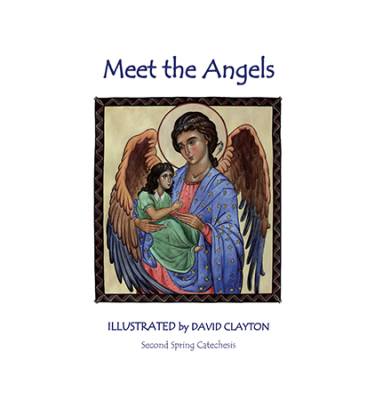 This title is the second in the “Good Shepherd Tales” series, and is suitable for around ages 3-8. 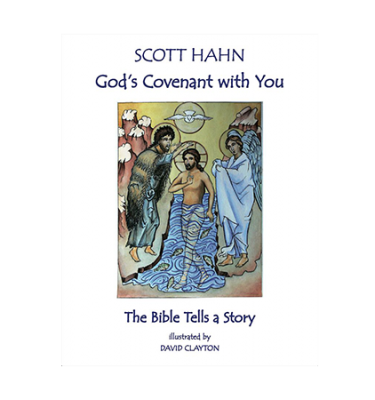 20 pages, paperback, laminated cover. Landscape, saddle-stitched on the short edge. UK: Your order will be sent by Royal Mail (orders despatched within 3 working days). Please leave a message on 07821 844888 if you need an order expedited. 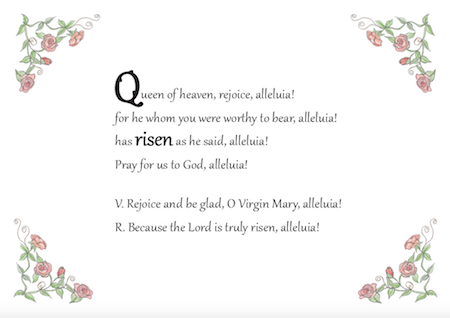 ORDER BY MONDAY 15TH APRIL for pre-Easter delivery. Fantastic book!' 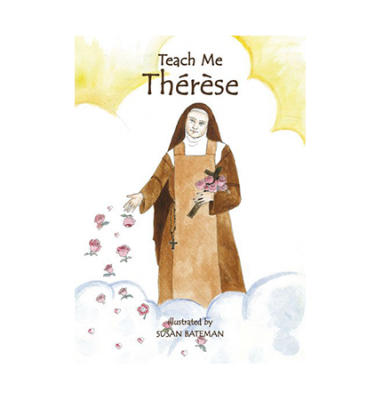 'Just what I needed for my grandchildren for Mass.